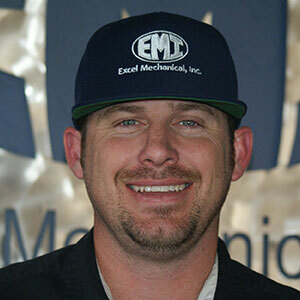 Jared Morgan | Excel Mechanical, Inc.
Jared Morgan started in the Construction Industry with Excel Mechanical over 15 years ago. Born and raised in Tucson, he shares his life with his wife and three children. Due to his attention to detail and commitment to efficiency, Jared was promoted in 2010 to Plumbing Department Manager. Proving over time that he can successfully run the department of 15-20 employees while completing a diverse array of projects, consistently improving the bottom line – Jared was promoted to Vice-President of Operations in January 2014. Jared holds various certifications including Med Gas, LEED AP, Backflow Testing, and others. In his spare time Jared enjoys taking his 4-Wheel drive out into the Desert as well as working on his home.